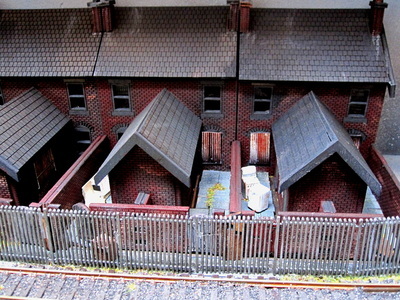 An 00 gauge DCC layout started October 2015. Track plan has been influenced by "Kyme" & a 3D version is shown below. Of necessity, given the short headshunt which has been set at one short wagon + loco, loco stock is limited to Class 03 & 08 types. Originally hadn't decided on a background scenic of either an industrial or terraced housing setting; the latter as build developed. 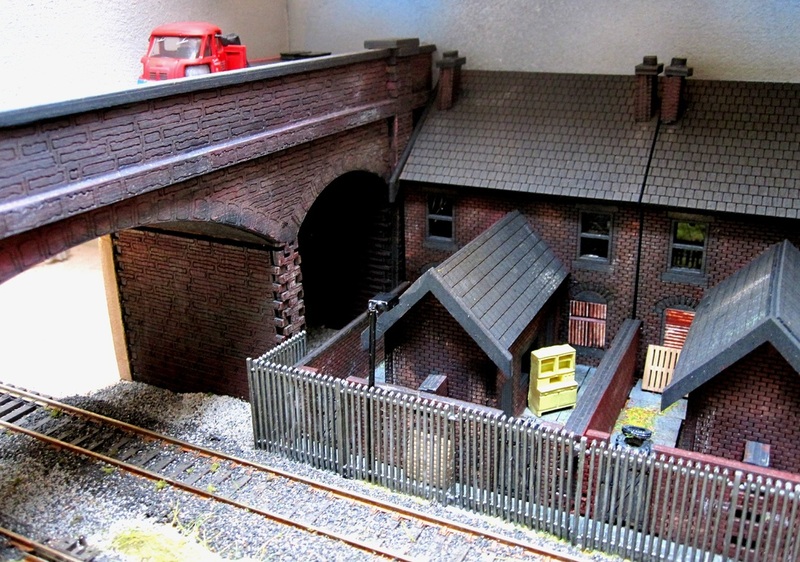 Layout measures 48" x 15" with integral fiddle yard. 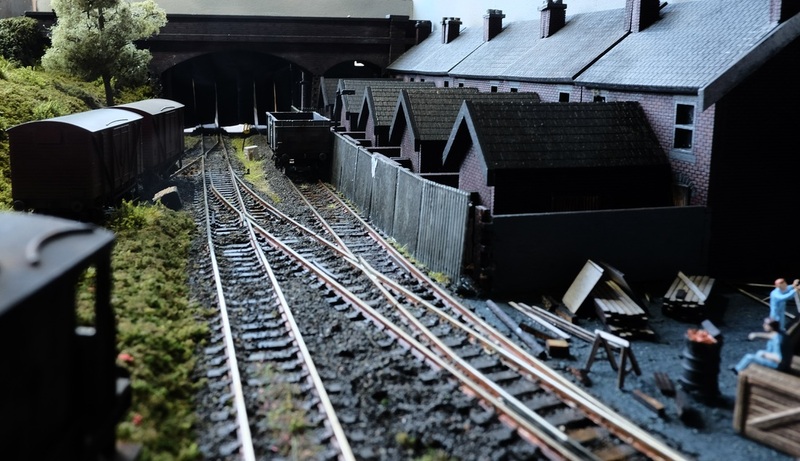 Trackwork & basic scenery in place. 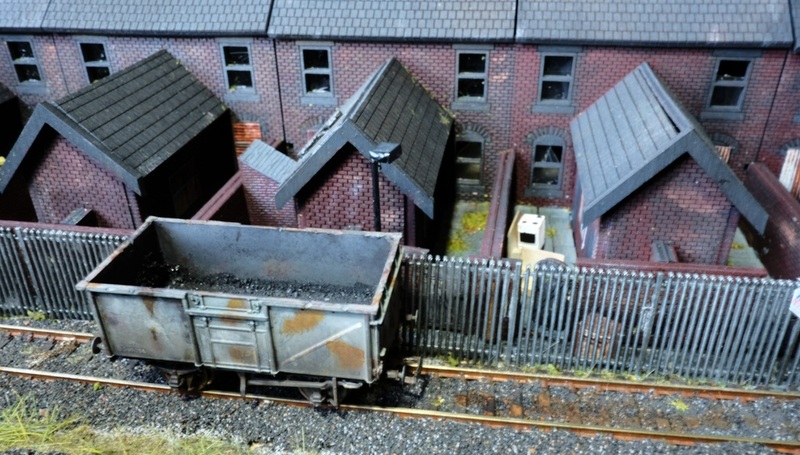 Based on that familiar location of “nowhere in particular”, the layout represents that tired & dirty railyard behind a row of terraced two ups / two downs. These are now all empty, semi derelict, & awaiting the demolition crew. All that remains of any life is at the end of the street where a builder’s merchants still maintains an ever deminishing trade. 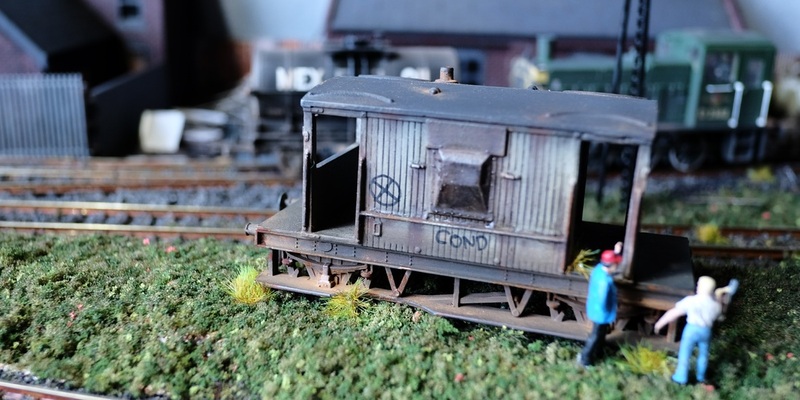 Stock is a very much a varied bag being dependent upon the vagaries of the mainline and wagons in transit. Rear of derelict terraced housing. Construction from 3mm MDF & card. Rear of "Dark End Street"
View to road bridge & fiddle.